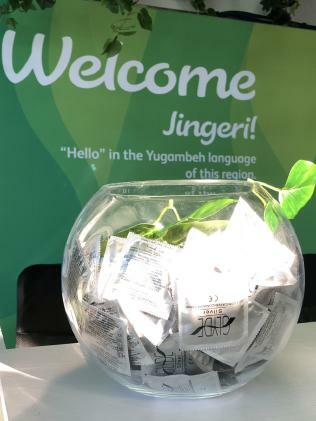 SOME athletes may be having more fun than others come the Commonwealth Games, with bowls of condoms placed poolside at the athlete's village ready for their arrival next weekend. The condom bowls were on display during a media tour of the $550 million athletes village yesterday. 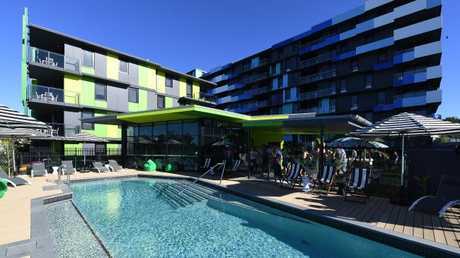 The village boasts four plush swimming pools (complete with hammocks, bean bags and deck chairs) for athletes to frolic in between competition. 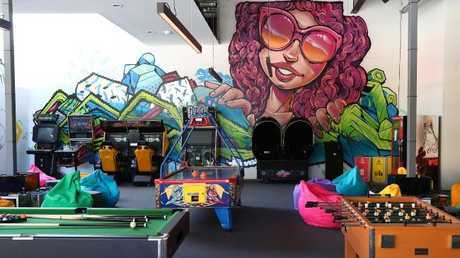 With a XXXX bar and even a TAFE student-run beauty salon to have athletes looking their best, officials are well-prepared for village hook-ups. Commonwealth Games gold medal-winning weightlifter Damon Kelly is married with three kids and said he would not be involved in any village dalliances. "But I have heard stories about it happening," the Brisbane athlete said with a laugh. "I won't be dipping into the condom bowl but I'm sure the other athletes will be getting into them." But athletes in a rush for romance may be frustrated at having only one small, slow lift for each residential building. 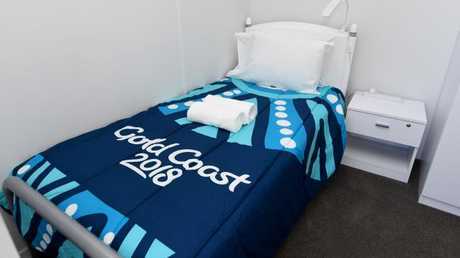 The athletes' Chinese-made single beds are also compact and just 1.86m long, but Games chairman Peter Beattie said the beds could be extended to accommodate taller athletes like basketballers.